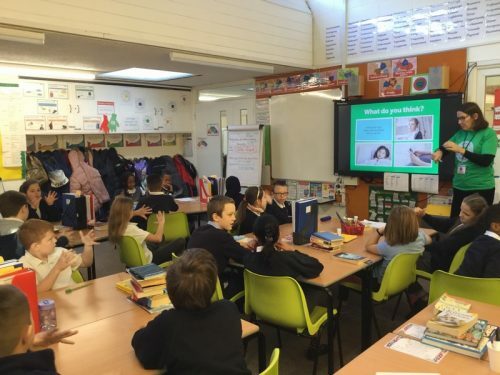 Year 5 have been learning about the importance of personal hygiene this week. 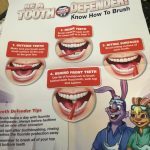 They have learnt all about their bodies starting to change and how they need to make sure they shower, wash their hands and brush their teeth regularly. 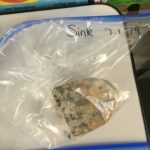 As a class we have discussed how germs are spread and we carried out an experiment to look at some evidence. 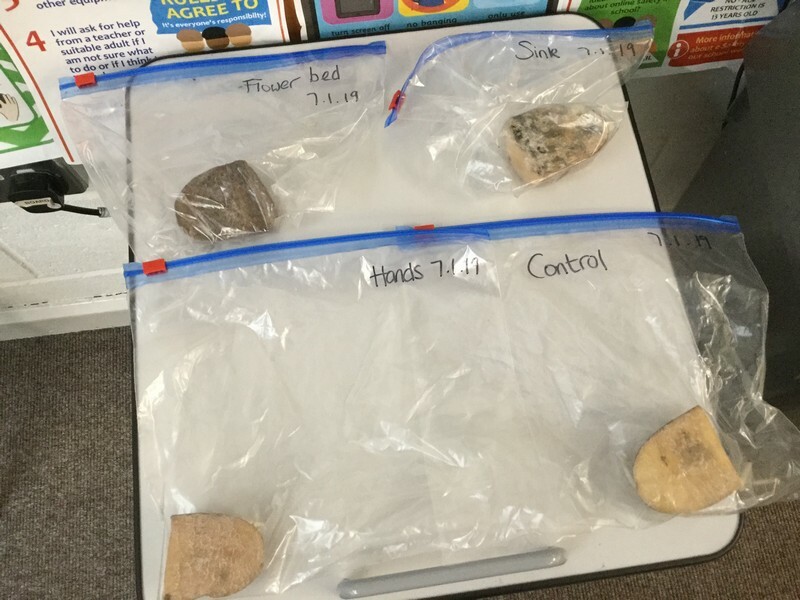 We took 4 quarters of potato and rubbed one in a flower bed, one around a sink, one was rubbed across a child’s hands and the fourth one was simply put in a plastic bag as the ‘Control potato”. 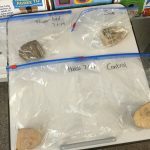 We made our predictions as to which one might have the most mould on, and in one week, we will study the potatoes and see if we we’re correct. 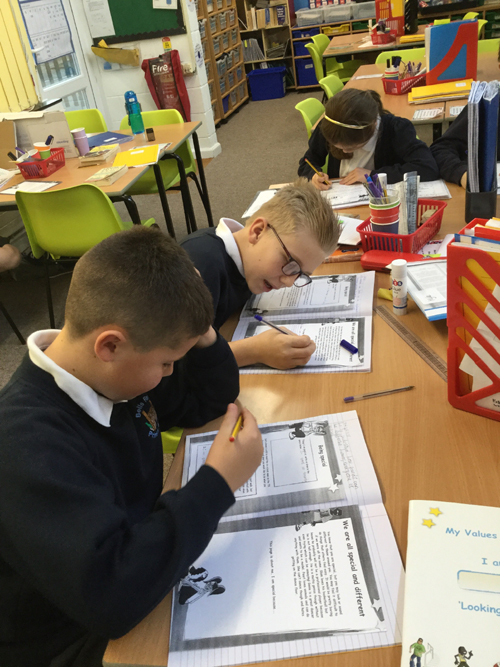 Year 5 have been looking into how everyone around them can be different in lots of ways, yet they are all equal. They have been introduced to Dot and her family and friends, and have learnt how they all support each other in a variety of ways. 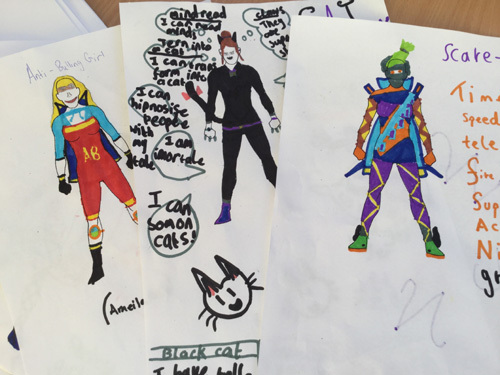 The fun activities have continued this week, with Year 5 designing their own super hero that has special powers to deal with all the unacceptable bullying that goes on in the world. They came up with some super ideas and were able to demonstrate their creative side. 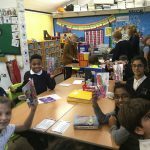 Year 5 have got off to a flying start this week celebrating Anti-Bullying week. 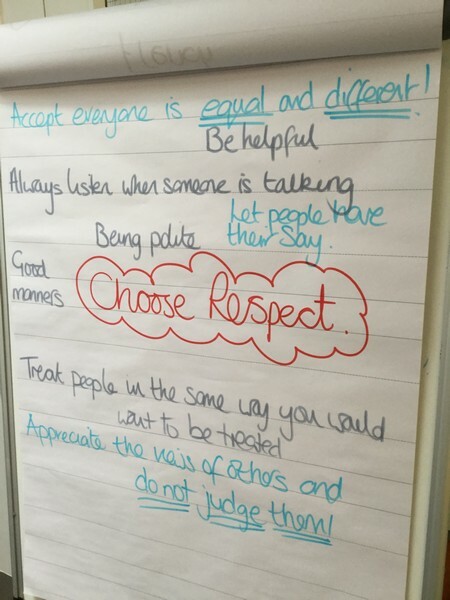 We have been discussing the Anti-Bullying slogan which is…’Choose ‘Respect’. 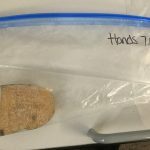 They have come up with what respect actually means, and have shared their ideas on why people should show respect for others. the blog as we’ll be listing them throughout the week! that is available to them if they ever need to talk to someone about anything that is worrying them. They learnt all about the various forms of abuse and we’re extremely grown up with their responses.. well done year 5! 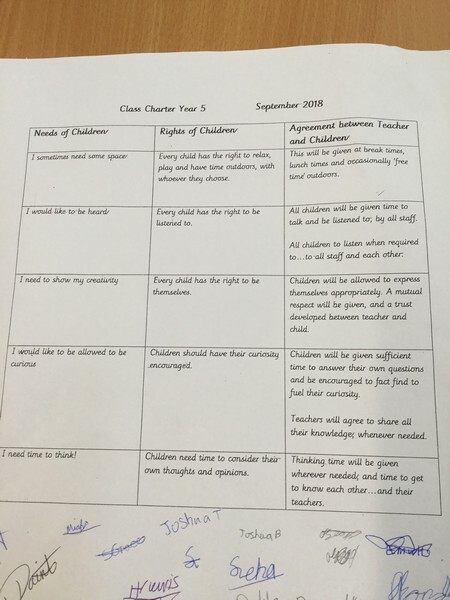 As part of Bells Farm’s PSHE policy, Year 5 have devised a class charter outlining the rights of children. 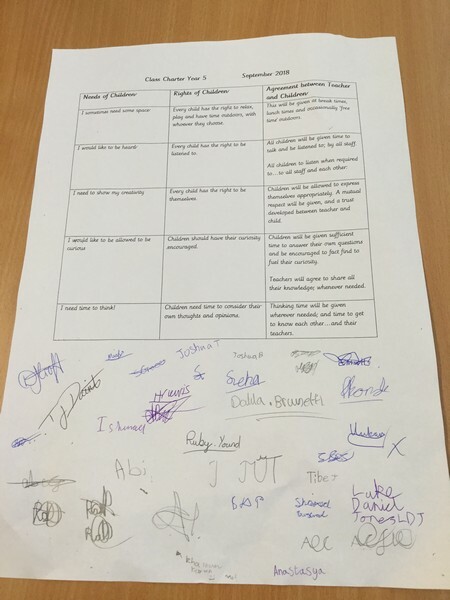 The children came up with their own suggestions and a list of rights were drawn up. 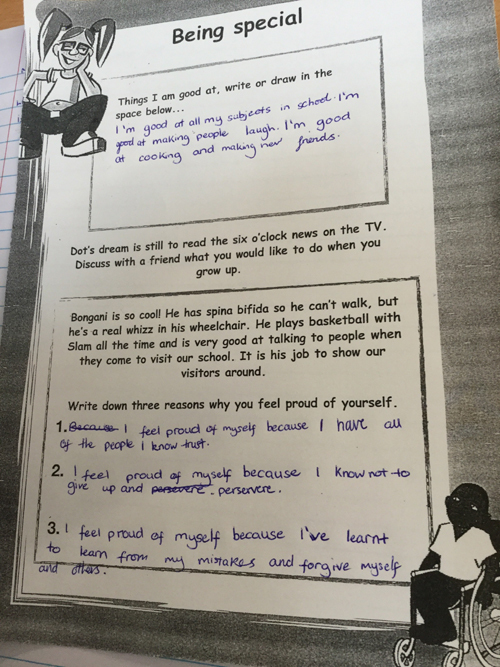 We then came up with ways the teaching staff in Year 5 could support these rights and Miss Dainter, the children and myself all signed to say we agreed. It’s now up on wall for us all to follow. Ask them to show you their signature…they enjoyed practising those. 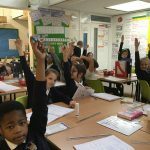 Year 5 discussed being part of the school community and having a voice. 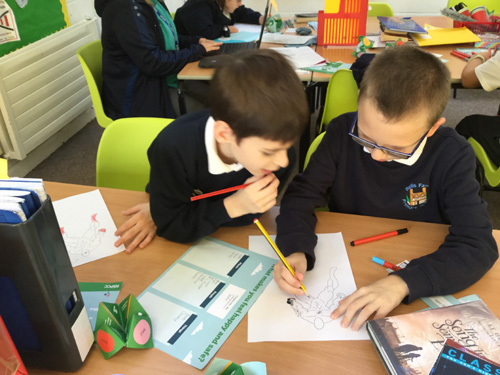 They thought about the things they might like to improve in the school in terms of its grounds and facilities. 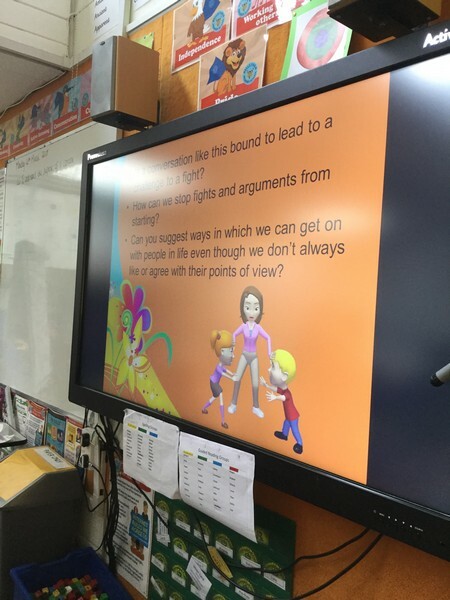 They then devised appropriate questions that they could put to the school to gain an idea of what they thought. 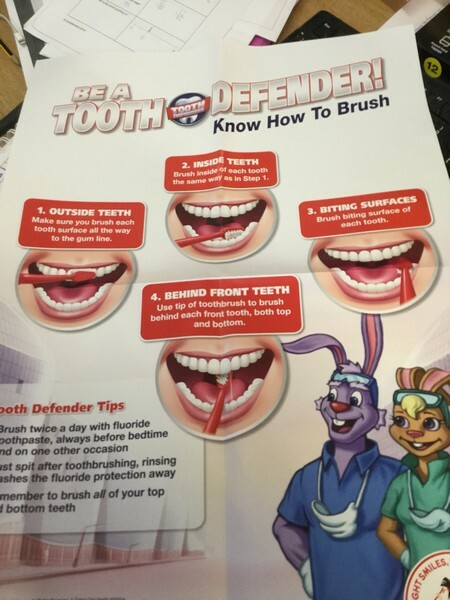 This proved to be harder than they first thought. If the question was not specific enough the results would not help them to move forward with their ideas. 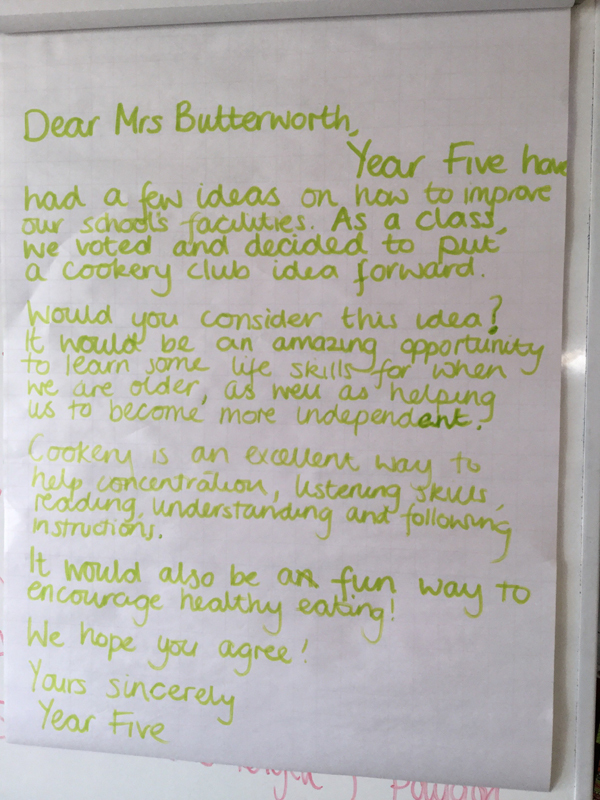 The class then decided on one idea to put forward to Mrs Butterworth and wrote her a letter…they will deliver it to her today. Let’s see what she says.. 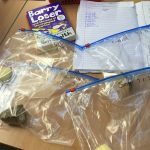 In PSHE Year 5 have been discussing rules and laws and why these are important things to have. They started off discussing rules in school and why we have them. A lot of children agreed that we have rules in school to avoid chaos and to try and keep everyone calm and shaving in the right way. 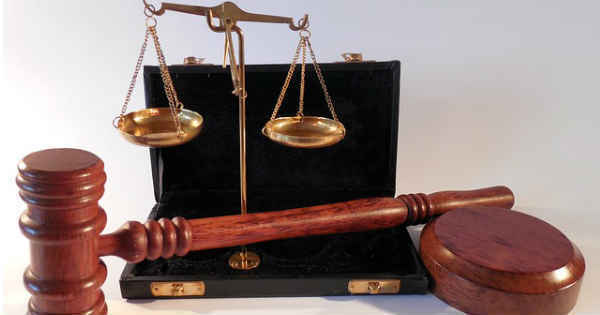 The children then referred this to why we have laws and realised that it is for very similar reasons. 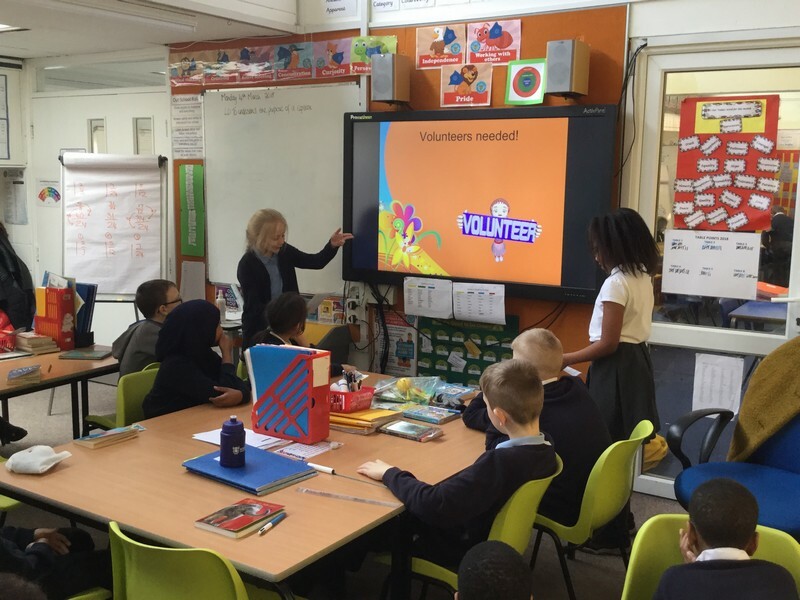 As well as this the children also discussed how people can be influenced by their peers to break certain rule and how this influence can sometimes turn into pressure.